SELLERS MUST SELL! 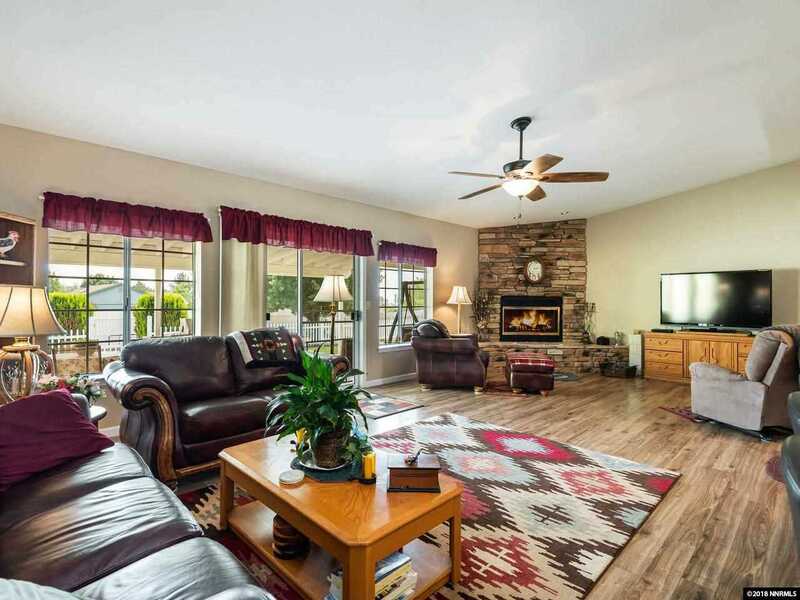 This comfortable family home situated on a 1.17 acre corner lot offers beautiful mountain views, a bright open floor plan, large bedrooms, lovely country kitchen and converted living space with kitchenette & separate entrance ideal for a media room or bonus room for family or guests. Enjoy the large covered back patio, nicely landscaped yard with lots of trees and the 1,200 s/f shop that will house 4+ vehicles, AND still plenty of room on the lot to build an RV garage. SchoolsClick map icons below to view information for schools near 1555 Steve Court Minden, NV 89423.